Smart Home technology can bring a valuable extra dimension to home security by utilising conventional security systems and the latest smart systems which talk to each other to provide drastically improved security far greater than the sum of its component parts. A smart security installation will typically integrate a conventional burglar alarm, lighting control system, gate and door entry systems, external garden security sensors and the TV systems in the house. Through this level of integration the smart home knows when you are at home or away and adjusts lighting, shading and energy use settings automatically and alerts you of intruders in the grounds proactively allowing you to move to a safe area or alert the police before anyone breaks in to the house. Providing piece of mind for our clients is vital to their enjoyment of their home. Clients who have full smart home solutions comprising of lighting control, TV systems, gate and door entry and alarm integration can also benefit massively from Finite Solutions bespoke perimeter (garden) security detection systems. Our perimeter detection system provides early warning of intruders in the grounds by alerting you with sounders and pop up display of CCTV footage on your TV screens around the house when you are at home so you can move to a safe area before someone breaks in. When away from home the system will send you text and email alerts and control lighting around the house reactive to an intruder detection to give the impression you are at home. 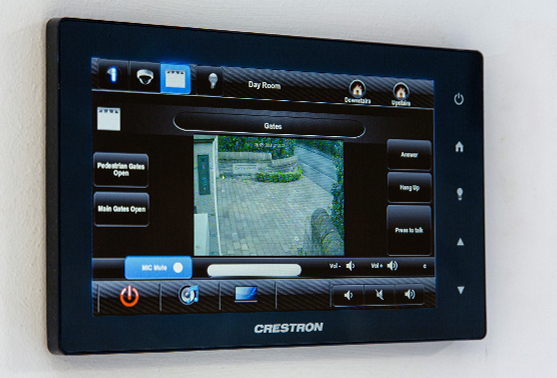 CCTV systems comprising discrete external and internal cameras and a DVR, or hard drive recording system, will provide round-the-clock monitoring of your home, allowing you to check the safety of your property and grounds from any TV screen in the house or via your iPad or iPhone from anywhere in the world. Looking at CCTV systems in their most basic form, at the very least the presence of cameras act as a deterrent letting any would be intruder aware they are being watched and recorded, with the intention they will simply move on. Simple to use systems which allow you to speak to visitors at your entrance gates or front door and open them at the touch of a button. For larger propertys the traditional ugly white phone box on the wall in the entrance hall to provide control of your gates is seldom a desirable, attractive or a very functional proposition. We provide solutions that will allow you to speak to and open your entrance gates throughout the house from a variety of easy to use, stylish controllers. From an intelligent telephone system throughout the house, which simultaneously shows CCTV images on all TV screens to integrated in-wall touch screens that operate your gates, show CCTV images and provide simple to use control over your music and TV systems means you never miss a visitor whether you are in the house or garden. From time to time should a visitor arrive at your home when you are not in the house, our smart systems will allow you to use your iPhone to look at the CCTV to check who is there, open the gate with a simple press on the screen and even open the front door to let them into the house. 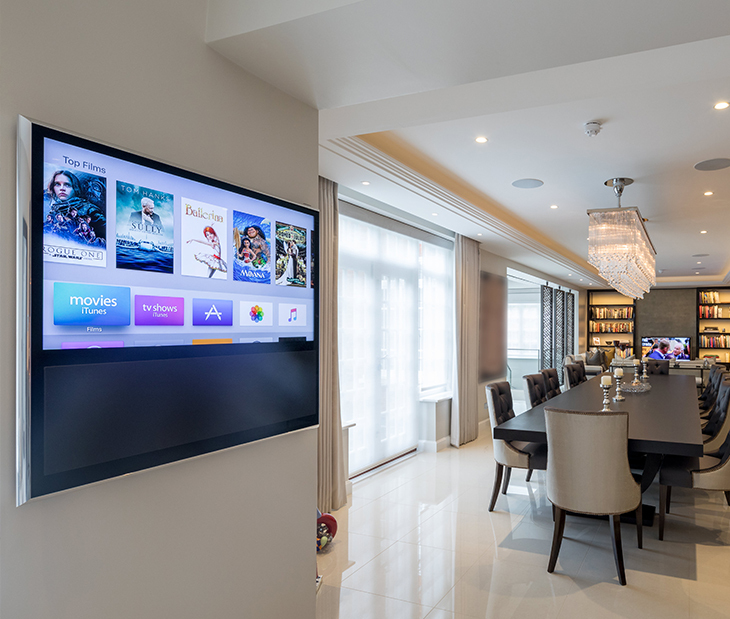 With our bespoke Crestron App and Control4 App we can provide you with complete control over the heating, gate entry, lighting, music and TV systems all from your iPhone from anywhere in the world as long as you have Wi-Fi or 3G signal! Expert consultation and advice on system options to cater to your requirements and concerns. Demonstration in house and via our security partners to ensure you can experience first hand the various levels of security integration available and select the system type and level which is most appropriate to your needs. Detailed in house design work to ensure your security installation is perfectly integrated with your homes architecture and interior design and with the other systems in your home. 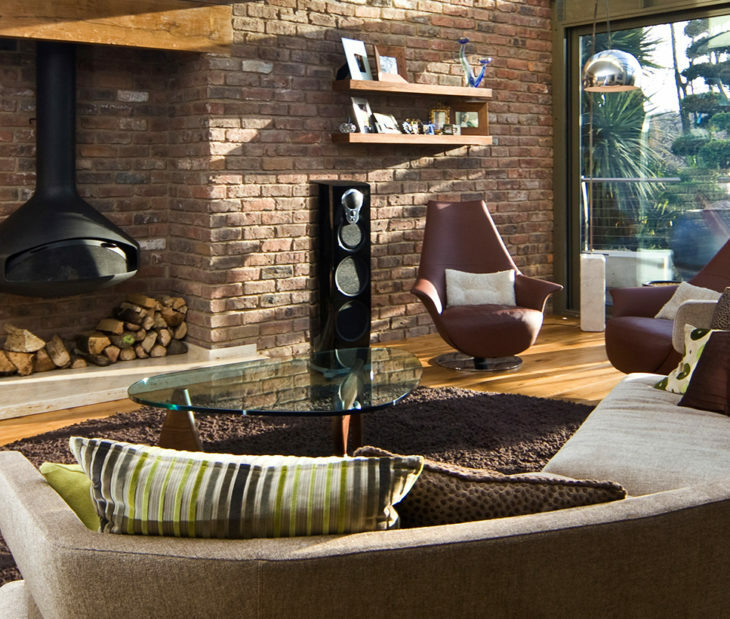 Dedicated in house project managers ensure the installation is carried out seamlessly. Full installation of your security hardware and in house commissioning, testing and programming of all systems to include CCTV, internal and external alarms, door and gate entry and all smart and audio visual systems and integration and programming in to the wider smart home control system. Finite Solutions provide extensive service options to cover any problems with your system before, during and after installation and provide proactive maintenance to ensure your system is always performing optimally.